Even though it is December, allergies can still ruin your day, and there’s nothing worse than feeling miserable and thinking you look miserable. While you probably don’t look as miserable as you think, sometimes “looking better” can make you feel better. So it’s understandable that you may want to hide your allergy symptoms from the world. Luckily, with a bit of makeup and following some helpful allergy makeup tips, you can look like the best version of yourself, even when you feel like your allergies are ruining your day. Don’t let your runny nose, puffy skin, and under-eye bags put a damper on your day. 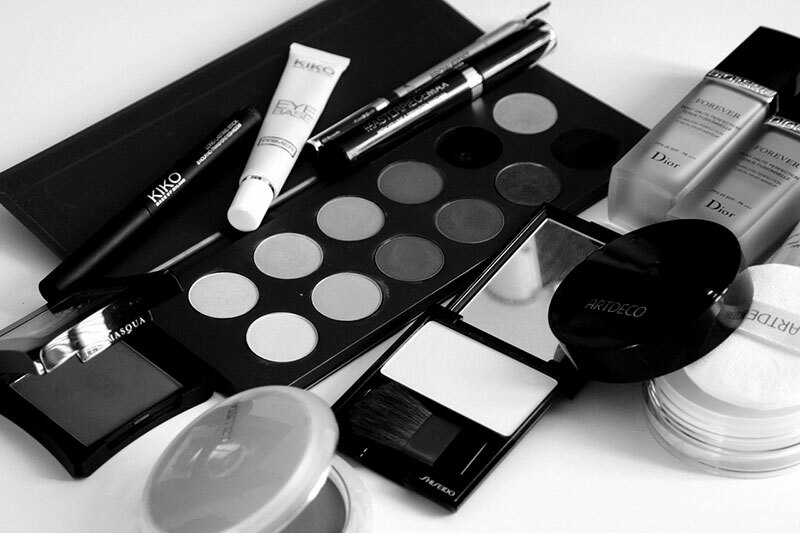 Fight back and take control of your appearance by checking out these helpful beauty and allergy makeup tips. 1. Start your regimen with a high-quality under eye cream that contains hyaluronic acid. Hyaluronic acid can help plump and hydrate the delicate skin under your eyes. Plus, when your skin is well-moisturized, you will have an easier time applying concealers. 2. A good, natural way to help minimize eye puffiness is to apply a cold spoon over your closed eyelids for a few minutes before you apply any makeup. 3. Stay away from high pigment shades on your eyes since they are more likely to flake into your eyes. Instead opt for softer, more neutral shades to help brighten the look of your eyes. 4. Remember, minimal eye makeup is best if you have watery eyes, so keep it light. If you need to apply mascara, make sure it is dark blue and is waterproof, so it does not run. Wearing a dark blue shade, instead of black or brown, can help counteract any redness. 5. Puffy eyes are always a dead giveaway, and if you wear glasses, this look is magnified. To help correct this, gently pat concealer that is two shades darker than your skin tone with a small concealer brush or your finger. Using a concealer that is green or orange-based is also a good way to cancel out those annoying blue tones. 6. Help draw attention away from your red, irritated nose by concealing it with a green-tinted primer or moisturizer. Apply before you put on your foundation for best results. 7. Wearing a bold lip color can help take the focus away from your red, irritated eyes and nose. 8. Always do a patch test when trying out makeup, and make sure you seek out gentle products to use on your allergy-prone skin. You don’t need your makeup adding to your symptoms. 9. Don’t like wearing makeup? There is nothing wrong with going natural. In fact, it can help your allergy symptoms because allergens can get caught in your hair and makeup. A good, natural way to disguise your symptoms is by wearing sunglasses and a cute, hip broad-brimmed hat. 10. If you find that facial tissues are too rough for your sensitive skin, try using a handkerchief. It may be gentler on your skin. Just make sure you go for one made from linen, cotton, or silk. 11. When your allergies are bothering you, don’t clean your face with a rough exfoliator. Instead, look for cleansers that are fragrance-free and designed for sensitive skin. 12. Remember, it is important to clean your face every night, especially when you wear makeup. Otherwise, you risk waking up to even more irritation. 13. Need to moisturize that nose? After you clean your face, dab the red, irritated areas with coconut oil or some other rich emollient or oil. 14. Most importantly, remember to stay hydrated! Avoid excess salt and alcohol, and drink plenty of water to help combat facial puffiness.